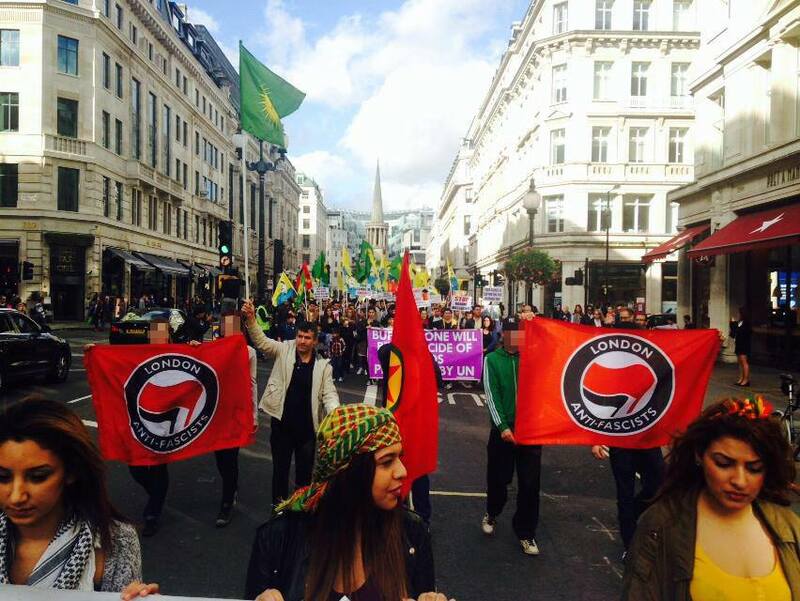 This weekend was a busy one in the London area for anti-fascists with many attending the giant TUC march on Saturday and also an anti-IS pro-Kobane solidarity march on Sunday. As well as this AFN staffed stalls and held meetings at both the Anarchist Bookfair on Saturday and the Anarcha-Feminist conference on Sunday. 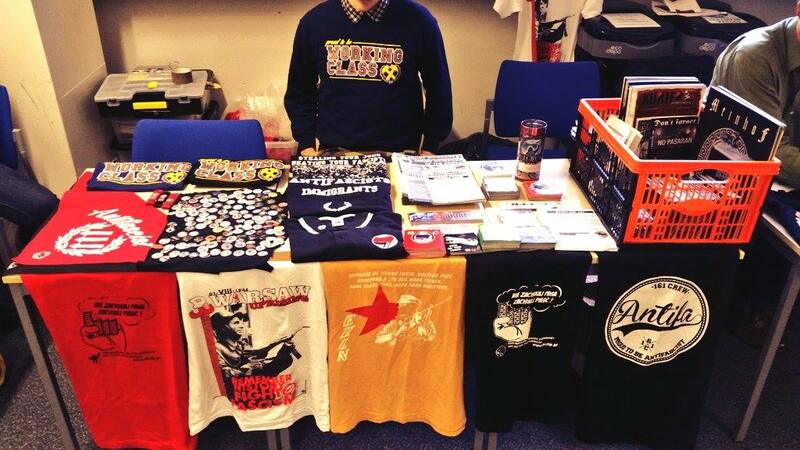 London Anti-Fascists, South London Anti-Fascists, the AFN and Dywizjon 161/Pozor Distro all had stalls at the Anarchist Bookfair, spreading the word and selling some excellent merchandise. If you missed your chance at the Bookfair, check out the stuff for sale online at Pozor and 161Crew. 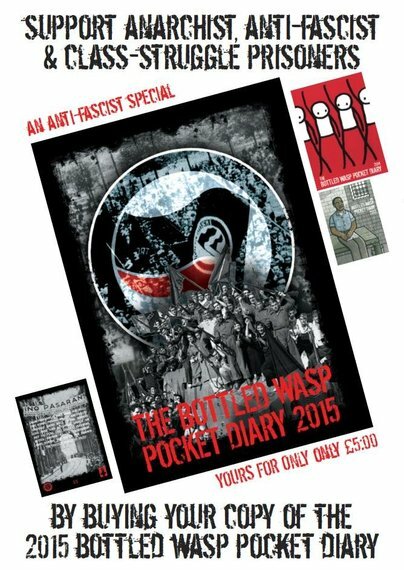 The Bookfair was also the launch event for the 2015 Bottled Wasp pocket diary, which doubles up as diary and almanac of radical history. All the money from the diary raises money for anti-fascist, anarchist and class struggle prisoners. This year’s diary has an anti-fascist theme running throughout. If you haven’t got your hands on a copy, you can get them through Active Distribution for the bargainous price of £5. At the Anarcha-Feminist conference on Sunday a member of Berkshire Anti-Fascists spoke on ‘Fascism, Racism, Activism, Feminism’. You can read the text of what she said here. 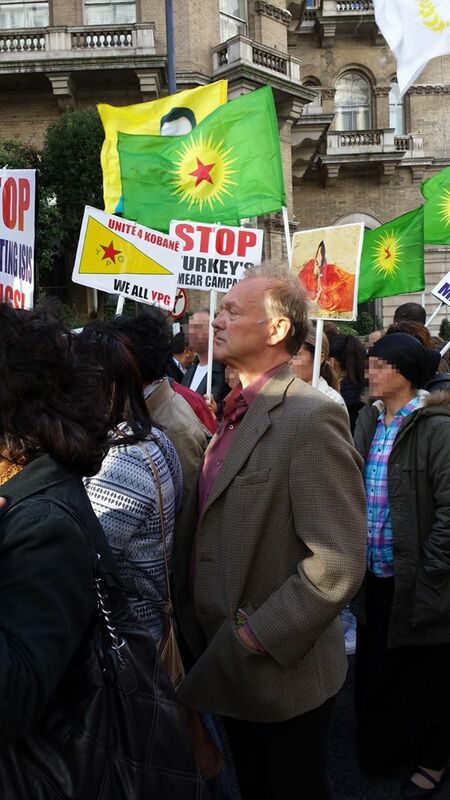 At the Kobane solidarity march on Sunday, Graham Williamson the ex-deputy chair of the National Front was unfortunately given a platform to speak. He was identified by AFN members and escorted off the demo. We have informed our Kurdish comrades of his dodgy past. Graham Williamson trying to look like he was never in the NF.